We are so excited to share this fun DIY project that we created using our Cricut Explore Air 2 Machine! 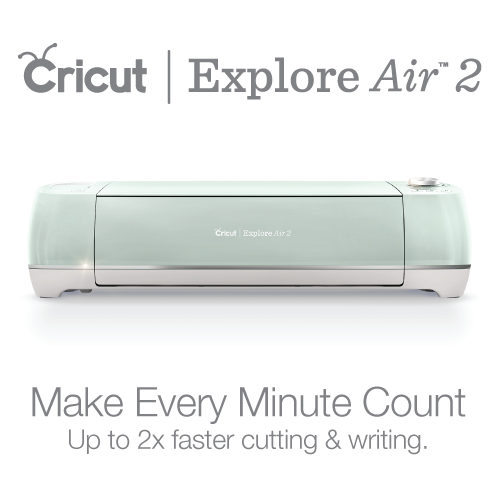 The Cricut Explore Air 2 makes it so simple to create unique one of a kind DIY projects. There are so many different types of DIY Projects that you can make with this machine. Obviously these super fun Spring Wreaths using Felt and Moss, along with many different Home Decor pieces, Fashion and Accessories, Parties and Holiday Decor, Kids Crafts, Teacher gifts, Teacher Decor in the Classroom. The list goes on and on! ** Can you tell that we love this machine and use it alot? In this video we show you how we made these fun wreaths, the different flower cuts that we used and several tips and tricks along the way! So.... are you ready to go and get the supplies that you need to create your own DIY Spring Wreath?? Don't forget to get your Flowers from Cricut Design Space! As mentioned in the video we used the flowers from Flower Shoppe, and Circles to create the different flowers shown on our wreaths. Check out the flowers up close! They are fabulous, I do say so myself! We hope that you loved this fun DIY project! Go create your own Spring Wreath today using felt and your Cricut Explore Air 2 Machine.